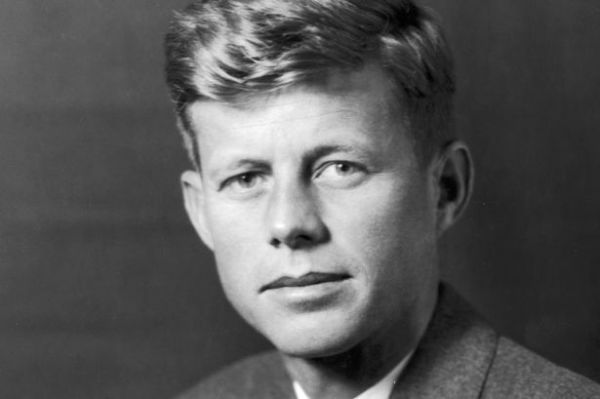 John Fitzgerald "Jack" Kennedy, commonly referred to by his initials JFK, was an American politician who served as the 35th President of the United States from January 1961 until his assassination in November 1963. 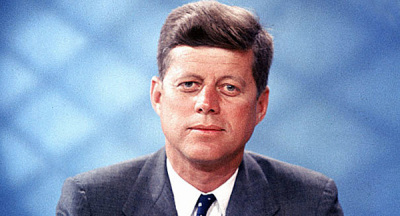 Elected in 1960 as the 35th president of the United States, 43-year-old John F. Kennedy became the youngest man and the first Roman Catholic to hold that office. He was born into one of America’s wealthiest families and parlayed an elite education and a reputation as a military hero into a successful run for Congress in 1946 and for the Senate in 1952. As president, Kennedy confronted mounting Cold War tensions in Cuba, Vietnam and elsewhere. He also led a renewed drive for public service and eventually provided federal support for the growing civil rights movement. His assassination on November 22, 1963, in Dallas, Texas, sent shockwaves around the world and turned the all-too-human Kennedy into a larger-than-life heroic figure. To this day, historians continue to rank him among the best-loved presidents in American history. After nearly earning his party’s nomination for vice president (under Adlai Stevenson) in 1956, Kennedy announced his candidacy for president on January 2, 1960. He defeated a primary challenge from the more liberal Hubert Humphrey and chose the Senate majority leader, Lyndon Johnson of Texas, as his running mate. In the general election, Kennedy faced a difficult battle against his Republican opponent, Richard Nixon, a two-term vice president under the popular Dwight D. Eisenhower. Offering a young, energetic alternative to Nixon and the status quo, Kennedy benefited from his performance (and telegenic appearance) in the first-ever televised debates, watched by millions of viewers. In November’s election, Kennedy won by a narrow margin–less than 120,000 out of some 70 million votes cast–becoming the youngest man and the first Roman Catholic to be elected president of the United States. An early crisis in the foreign affairs arena occurred in April 1961, when Kennedy approved the plan to send 1,400 CIA-trained Cuban exiles in an amphibious landing at the Bay of Pigs in Cuba. Intended to spur a rebellion that would overthrow the communist leader Fidel Castro, the mission ended in failure, with nearly all of the exiles captured or killed. That June, Kennedy met with Soviet leader Nikita Khrushchev in Vienna to discuss the city of Berlin, which had been divided after World War II between Allied and Soviet control. Two months later, East German troops began erecting a wall to divide the city. Kennedy sent an army convoy to reassure West Berliners of U.S. support, and would deliver one of his most famous speeches in West Berlin in June 1963. 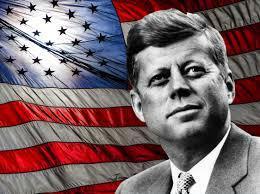 Kennedy clashed again with Khrushchev in October 1962 during the Cuban missile crisis. 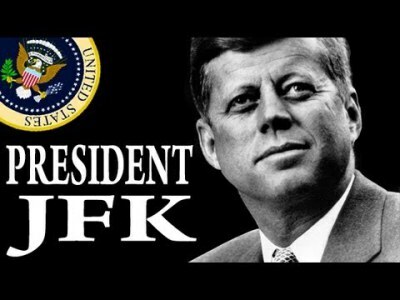 After learning that the Soviet Union was constructing some nuclear and long-range missile sites in Cuba that could pose a threat to the continental United States, Kennedy announced a naval blockade of Cuba. The tense standoff had lasted nearly two weeks before Khrushchev agreed to dismantle Soviet missile sites in Cuba in return for America’s promise not to invade the island and the removal of U.S. missiles from Turkey and other sites close to Soviet borders. In July 1963, Kennedy won his greatest foreign affairs victory when Khrushchev agreed to join him and Britain’s Prime Minister Harold Macmillan in signing a nuclear test ban treaty. In Southeast Asia, however, Kennedy’s desire to curb the spread of communism led him to escalate U.S. involvement in the conflict in Vietnam, even as privately he expressed his dismay over the situation. During his first year in office, Kennedy oversaw the launch of the Peace Corps, which would send young volunteers to underdeveloped countries all over the world. Otherwise, he was unable to achieve much of his proposed legislation during his lifetime, including two of his biggest priorities: income tax cuts and a civil rights bill. Kennedy was slow to commit himself to the civil rights cause, but was eventually forced into action, sending federal troops to support the desegregation of the University of Mississippi after riots there left two dead and many others injured. The following summer, Kennedy announced his intention to propose a comprehensive civil rights bill and endorsed the massive March on Washington that took place that August. 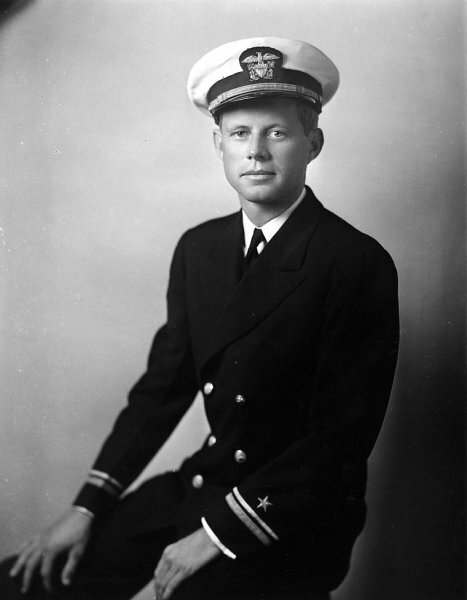 Kennedy was an enormously popular president, both at home and abroad, and his family drew famous comparisons to King Arthur’s court at Camelot. His brother Bobby served as his attorney general, while the youngest Kennedy son, Edward (Ted), was elected to Jack’s former Senate seat in 1962. Jackie Kennedy became an international icon of style, beauty and sophistication, though stories of her husband’s numerous marital infidelities (and his personal association with members of organized crime) would later emerge to complicate the Kennedys’ idyllic image. On November 22, 1963, the president and his wife landed in Dallas; he had spoken in San Antonio, Austin, and Fort Worth the day before. From the airfield, the party then traveled in a motorcade to the Dallas Trade Mart, the site of Jack’s next speaking engagement. Shortly after 12:30 p.m., as the motorcade was passing through downtown Dallas, shots rang out; Kennedy was struck twice, in the neck and head, and was pronounced dead shortly after arriving at a nearby hospital. Twenty-four-year-old Lee Harvey Oswald, known to have Communist sympathies, was arrested for the killing but was shot and fatally wounded two days later by local nightclub owner Jack Ruby while being led to jail. 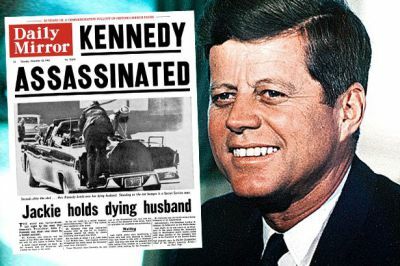 Almost immediately, alternative theories of Kennedy’s assassination emerged–including conspiracies run by the KGB, the Mafia, and the U.S. military-industrial complex, among others. A presidential commission led by Chief Justice Earl Warren concluded that Oswald had acted alone, but speculation and debate over the assassination have persisted.